Thanks to easy internet access on our smartphones, we have this habit of searching for all the answers on our own rather than going to an expert. I used to keep searching for ‘How to build immunity in toddler’, ‘remedies for cold and cough in toddler’, ‘skin rashes in kids’ and what not. Even ask around on these parenting groups I am on – till I realized it’s wrong to over-worry. The internet will say that a cough could be a sign of serious illness or what not. Probably this massive amount of information makes us scared and we end up saying no our kids. My kid’s pediatrician said that till the age of 5 kids will fall ill with cold and cough, they’re building their immunity – let them be – don’t ask for antibiotics every time they sneeze. Thousands of videos pop-up wherever you see – don’t eat noodles they’re not healthy, don’t eat vegetables they are artificial, don’t buy XYZ product it contains plastic – the list goes on. In the world of competition, marketing has become unethical and one brand will leak such information to defame another – who knows? As long as everything is being consumed in small portions and variety – it’s alright. Haven’t we grown up eating everything too? We see other moms, all fit and pretty with smart and healthy babies – enjoying vacations or excelling in different fields. Remember, everyone portrays their very best on social media – no one will show the lows. So don’t compare yourself with other moms, each have their own personal strengths and weaknesses – but together by accepting that we’re all just trying to do our best. Don’t let other moms who say NO get to you, instead you can motivate them to become a #YesMOM! It is a competitive world, but every kid is different and special. One may be a fast learner while the other may be more interested in physical activities. We tend to compare our kids right from the minute they’re born – mine was of so many kilos, mine got his teeth fast, mine started walking so quick or mine was the first one to talk. This habit will only make the kids vulnerable, unconfident and anxious. We tell our kids to drink 2 glasses of milk, ask yourself honestly – how many do you have a day? I barely manage to have 2 glasses of milk a week! We need to show them the right thing by doing so ourselves – eating green vegetables, not being on our phones all the time, engaging in some physical activity together, brushing twice a day and so on. Simple, isn’t it? Actually simpler to say, but with determination and mindfulness, we can achieve being a Yes MOM! My son recently fell ill with pneumonia and that was a wake-up call for me that I cannot blame him or say no to him for playing or going out. 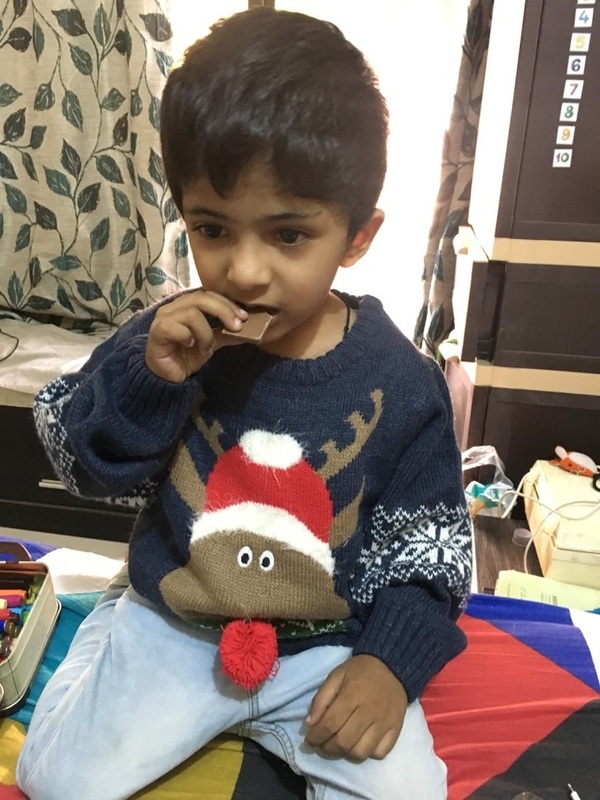 Rather I need to go that extra mile to boost his immunity too – I have started making changes to his diet and to get some more help – I have introduced ActivKids Immuno Boosters by Cipla. Available for 4-6 years and 7+ years, they come in an air-tight container with 30 chocolate bites inside. 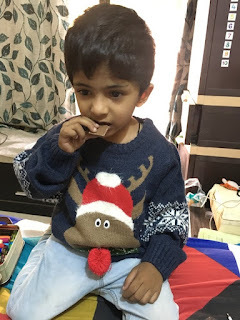 I love the fact that each choco-bite is packed separately so that they don’t get spoilt, can be given in the school tiffin or when they go to play too. 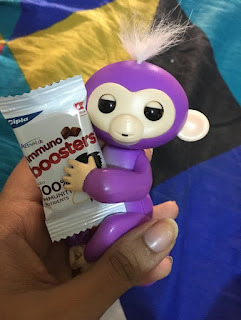 The best part is that it tastes quite yummy (I always taste whatever new I introduce to my kiddo) like any other chocolates do, so they have no idea that it’s not just a chocolate but a power-product that will help them fight germs better! It’s too soon to say if I have seen any improvement in his immunity, but it is made by Cipla, so I am sure it’s the best there is. Read more about the product on their website and you can buy it online on Amazon too! 1 box of 30 choco-bites is for Rs.299/- meaning 10 bucks a day to build your kiddo’s immunity. The brand has also launched their TV ad. Check it out here.